Home › Freedom-Expressed › The End of the Kali Yuga in 2025? A few thoughts and internet synchronicities tickled my interest today for the future year 2025; less than 11 years away. Before you continue reading the information shared below, please consider what matters most at this moment, and all moments are “this moment” is the accurate observation; I place no burden on what calendar or cosmic cycle we are using but rather how good a living being we are, how much joy we share with others, and how we can help each other… knowledge, wisdom, and skills can assist in joyful creative living experience. Forecasting the seasons or the weather is a useful skill and knowledge for harvesting food, preparing clothing for cold or rain; and in this vein I am interested in observing patterns in nature to discern cosmic cycles. Many people claim that 2025 is the ascension from the Kali Yuga into the Dwapara (aka “Dvapara”) Yuga, while others claim this phase of the Zodiac Age of Pisces is in the Dwapara Yuga. 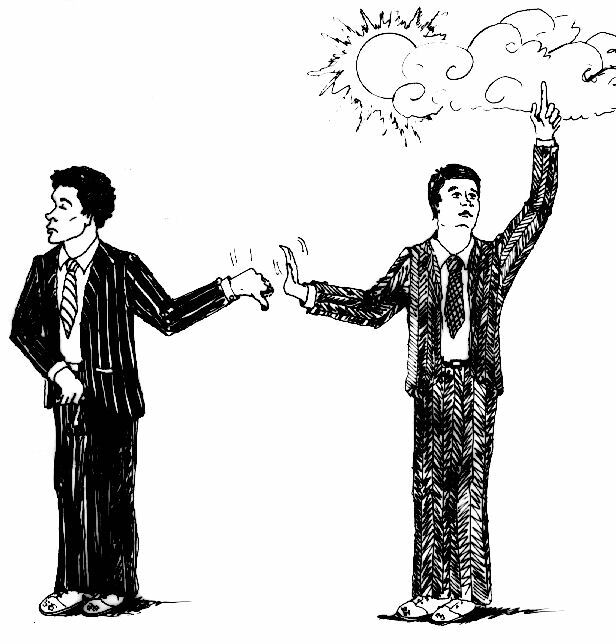 Thus debate and uncertainty exist among some researchers. We expect a resolution or a revelation soon. I do not comprehend his model, thus I will not attempt to explain it. “There are two flight-to-quality [capital flows]: 1. …domestic cyclical flow back and forth between the PUBLIC and the PRIVATE sectors. 2. …international capital flows. Capital flees economic and geopolitical turmoil. … [capital] poured into Mortgages for the next 4.3 years and that bubble burst in 2007. It then flew into gold and that peaked in 2011. Then it moved back to the Dow and is shifting away from government bonds. That should peak in 4.3 years or 2015.75. The capital flows change direction every 4.3 years. *Cycles are a way of expressing an accurate observation of nature, even if perception is limited. The wish is for greater awareness and increased perceptiveness as skills and comprehension grows. The seasons of Spring, Summer, Fall, and Winter are cyclic, as are nights and days are also shorter cycles. I imagine as we near the year 2025 more accurate astronomical observations and decipherment of ancient text and hieroglyphics will reveal greater insights into the cosmic cycles, of which we are part of here on Earth. I interpret ancient texts as stories of past experiences, and their observations may have been valid and valuable for their living comfort and survival. That does not necessarily mean the same experiences will be accurate observations and remain as valuable for us today. The cosmos may have changed, planets may have grown, new planets may have been born, and many other possible changes may effect our experiences in the current era. Having said that, pattern recognition should reward us with some predictable future events and thus comprehending ancient stories of the Great Ages is beneficial for us indeed. Does this mean Aryabhatta made an error in his back calculations? Not really. For, the Surya Siddhanta does not ever specify that such an alignment of planets took place at the beginning of the Kali Yuga. On the contrary, the Surya Siddhanta explicitly states that this conjunction of planets at 0° of Aries takes place at the end of the Golden Age (Satya / Krita Yuga). 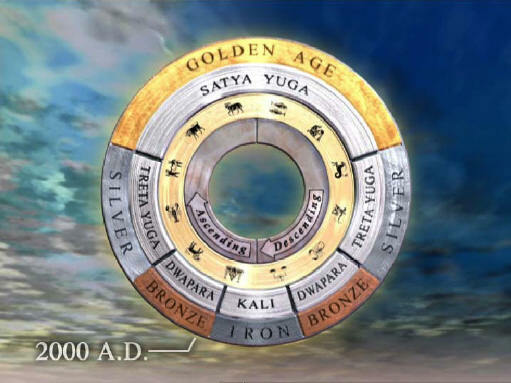 The text states: “Now, at the end of the Golden Age (Krita Yuga), all the planets, by their mean motion – excepting however their nodes and apsides – are in conjunction in the first of Aries” Unfortunately, however, this simple statement was misrepresented by some of the early commentators, in their eagerness to find an astronomical rationale for the 3102 BC date, and it has subsequently been promulgated as a fact. *Below is an alternative view of the cosmic cycle calendar dates by authors Selbie and Steinmetz, of which I am not convinced. Yet, I share their presentation with the wish for your discernment and further research to enlighten us all. I am convinced we will solve this problem with the calendar dating methodology. A collection of snapshots of Durga Puja 2011 in Kolkata, with the background music of Prem Joshua’s track ‘Sky Kisses Earth’ http://www.premjoshua.com. This video is a tribute to the amazing level of creativity and artistry that is on display during the Durga Puja. 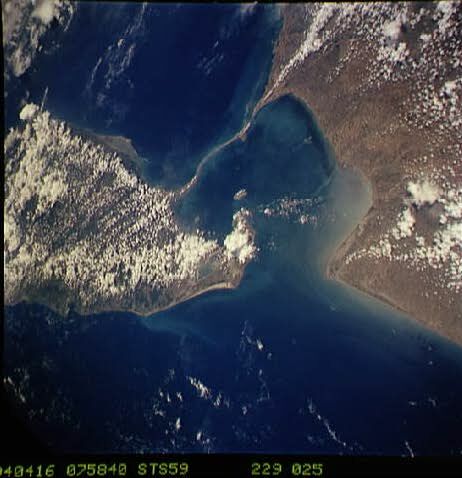 WASHINGTON (PTI) — The NASA Shuttle has imaged a mysterious ancient bridge between India and Sri Lanka, as mentioned in the Ramayana. The recently discovered bridge, currently named as Adam’s Bridge and made of a chain of shoals, 30 km long, in the Palk Straits between India and Sri Lanka, reveals a mystery behind it. The bridge’s unique curvature and composition by age reveals that it is man-made. Legend as well as Archeological studies reveal that the first signs of human inhabitants in Sri Lanka date back to the primitive age, about 1,750,000 years ago and the bridge’s age is also almost equivalent. “In the eighteenth incarnation (of Lord Krishna), the Lord appeared as King Rama. In order to perform some pleasing work for the demigods, He exhibited superhuman powers by controlling the Indian Ocean and then killing the atheist King Ravana, who was on the other side of the sea”. The Personality of Godhead Sri Rama assumed the form of a human being and appeared on the earth for the purpose of doing some pleasing work for the demigods, or the administrative personalities, to maintain the order of the universe. Sometimes great demons and atheists like Ravana and Hiranyakasipu and many others become very famous due to advancing material civilization by the help of material science and other activities, with a spirit of challenging the established order of the Lord. For example, the attempt to fly to other planets by material means is a challenge to the established order. The conditions of each and every planet are different, and different classes of human beings are accommodated there for particular purposes mentioned in the codes of the Lord. But, puffed up by tiny success in material advancement, sometimes the godless materialists challenge the existence of God. Ravana was one of them, and he wanted to deport ordinary men to the planet of Indra (heaven) by material means without consideration of the necessary qualifications. He wanted a staircase to be built up directly reaching the heavenly planet so that people might not be required to undergo the routine of pious work necessary to enter that planet. He also wanted to perform other acts against the established rule of the Lord. He even challenged the authority of Sri Rama, the Personality of Godhead, and kidnapped His wife, Sita. Of course Lord Rama came to chastise this atheist, answering the prayer and desire of the demigods. He therefore took up the challenge of Ravana, and the complete activity is the subject matter of the “Ramayana”. Because Lord Ramachandra was the Personality of Godhead, He exhibited superhuman activities which no human being, including the materially advanced Ravana, could perform. Lord Ramacandra prepared a royal road on the Indian Ocean with stones that floated on the water. The modern scientists have done research in the area of weightlessness, but it is not possible to bring in weightlessness anywhere and everywhere. But because weightlessness is the creation of the Lord by which He can make the gigantic planets fly and float in the air, He made the stones even within this earth to be weightless and prepared a stone bridge on the sea without any supporting pillar. That is the display of the power of God. “At Rama’s command, those lions among the monkeys entered the mighty forest with alacrity in hundreds and thousands on every side and those leaders on the simian tribes, tearing up the rocks, which in size they resembled, and the trees also dragged them to the sea and they covered the ocean with Sala, Ashvararna, (list of tree names).Those foremost monkeys transported those trees, with or without roots, bearing them like so many standards of Indra (the king of heaven) and they heaped (list of tree names) here and there. With the aid of mechanical devices, those powerful colossi dug up stones as big as elephants and rocks, and the water suddenly spouted into the air only to fall instantly. Thereafter those monkeys churned up the sea by rushing into it on all sides pulling on the chains. “That immense causeway constructed by Nala in the bosom of the sea was built by the arms of those monkeys of formidable exploits and it extended over a hundred leagues. “Some brought trunks of trees and others set them up; it was by hundreds and thousands that those monkeys, like unto giants, made use of reeds, logs and blossoming trees to construct that bridge, rushing hither and thither with blocks of stone resembling mountains or the peaks of crags, which, flung into the sea, fell with a resounding crash. “The first day those monkeys resembling elephants, or immense energy, full of high spirits and exceedingly merry, erected fourteen leagues of masonry. The second day, those highly active monkeys of formidable stature set up twenty leagues. Bestirring themselves, those giants threw twenty-one leagues of structure over the ocean on the third day and on the fourth, working feverishly, they built up twenty-two leagues in extent. The fifth day, those monkeys, industrious workers, reached to twenty-three leagues distance from the further shore. “That fortunate and valiant son of Vishvakarma (architect of the demigods), leader of the monkeys, constructed a causeway worthy of his sire over the ocean and that bridge erected by Nala over the sea, the haunt of whales, dazzling in its perfection and splendor, was like the constellation of Svati in space. “Then the gods, Gandharvas, Siddhas (living beings superior to humans) and supreme Rishis (great sages) assembled in the sky, eager to see that masterpiece, and the gods and Gandharvas gazed on that causeway, so difficult of construction, that was ten leagues in width and a hundred in length built by Nala. “Those monkeys thereafter dived, swam and shouted at the sight of that unimaginable marvel that was almost inconceivable and caused one to tremble! And all beings beheld that causeway thrown over the ocean and by hundreds and thousands of kotis (millions), those monkeys, full of valor, having built that bridge over the immense repository of waters, reached the opposite shore. “Vast, well-constructed, magnificent with its wonderful paved floor, solidly cemented, that great causeway like unto a line traced on the waves, resembled the parting of a woman’s hair. “Then the fortunate Rama and Laxmana advanced thus and that magnanimous archer was accompanied by Surgriva. Some monkeys strode forward in the center, some threw themselves into the waves, some sprang into the sky, others marched on the bridge, some ranged through space like birds, and the terrific tumult of the trampling of that formidable army of monkeys drowned the roar of the ocean. “When those simian troops had passed over the sea by the grace of Nala’s causeway, the king ordered them to camp on the shore which abounded in roots, fruits and water. Note: Lord Krsna’s incarnation Rama, appeared as a human being because only a human being could kill Ravana, due to certain benedictions that he had been given. Note: The monkeys mentioned here as comprising Rama’s army, were not ordinary monkeys. They were in fact greatly powerful demigods who appeared on this earth to assist the Lord in his pastime of subduing this atheistic demon, Ravana. 1] KALI YUGA: Age of Quarrel and Conflict! 2] The End of the Kali Yuga! 3] When Does the Kali Yuga End? 4] The end of the Kali Yuga in 2025: Unraveling the mysteries of the Yuga Cycle! This clip is about the zodiac and how the sun is encoded all over the planet by the ruling class to include movies and maps. There is little doubt that we live in interesting times. However, it is not always doom and gloom. What you have to understand is there will never be any change or reform without the doom and gloom. We have to crash and burn in order to create what Joseph Schumpeter called Waves of Creative Destruction. There was the Great Depression, which everyone says we must prevent. All they see is the doom and gloom. Without the Great Depression you might still be growing tomatoes. 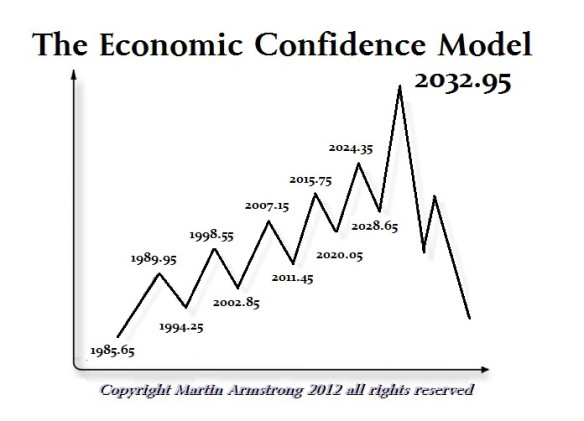 Here we can see the shift within the make-up of the economy. 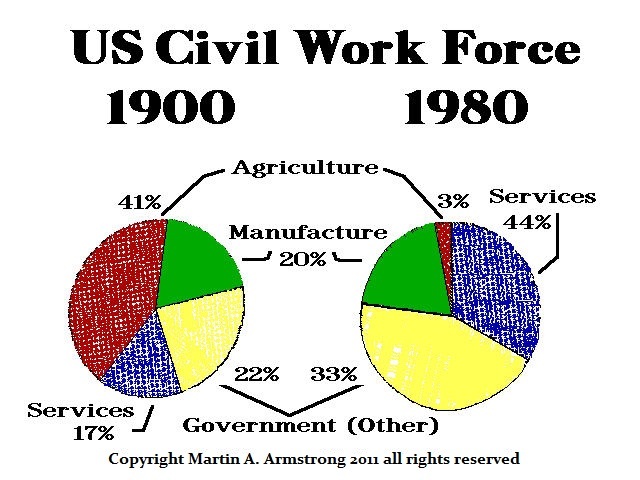 Agriculture crashed and burned sending unemployment to 25%. This forced people to become skilled labor. Unfortunately, it marked the birth of government which grew tremendously. Now we have reached the peak in government and they must go through their wave of collapse. Government produces nothing – it consumes the wealth created by the people. The more it consumes, the slower the economic growth and the less opportunity in the future for the next generation. So yes, we are in a doom and gloom era for government. 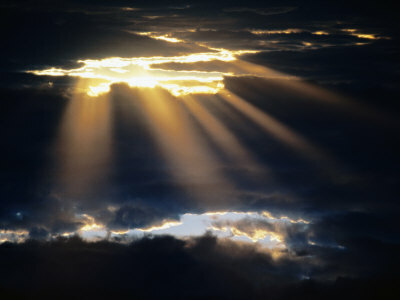 But the light peaking through the clouds is a new land of exciting opportunity – a Private Wave of opportunity. What we must be careful about is government will not reform nor will it go quietly into the light. They will rage against their coming demise. The object is to step out of the way and help others understand this is a Wave of Creative Destruction – not the end of the world. Embrace it and prepare for a new way ahead. In part this is why I will do the SOLUTION conference now rather than latter. Changes are coming to all and amplifying awareness, knowledge and skills can assist in the global dialogue. Thank you for sharing, and it is very much appreciated! Go through my website http://www.war2037.com. Kalki ( Sree Veerabhoga Vasantharaya) has reincarnated in 1965-66. 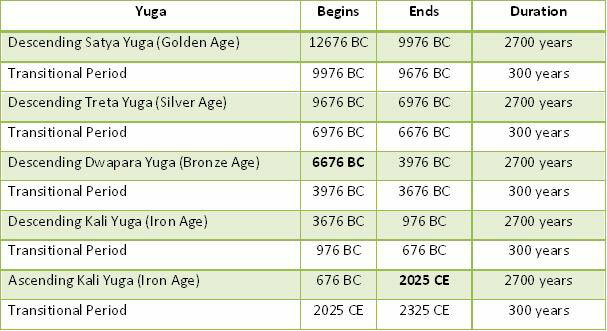 Kali Yuga which began in 3102 BC will end in 2064 AD. 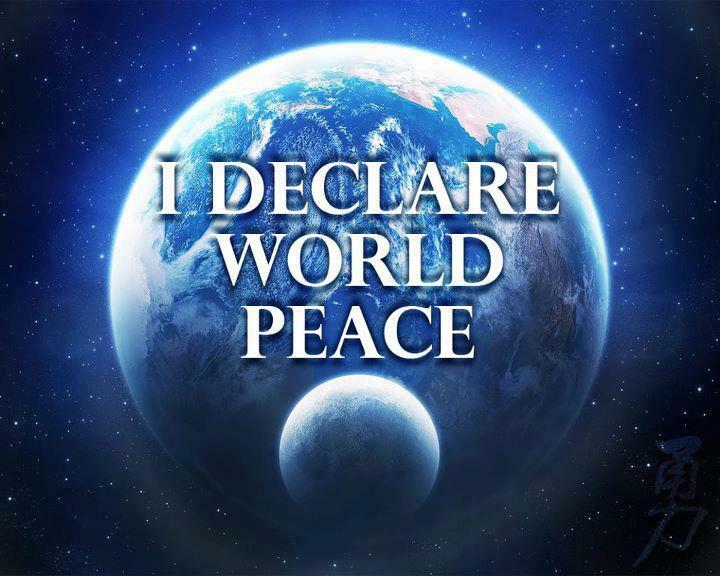 Nostradamus mentions about a 27 Year war after 92 Years of peace after the Second World War. Hence Kali Yuga is only 5,166 Years.